Economical viewer for wall hanging purposes. 2 bulb illumination. 14? x 17? viewing area. No auto switch. Magic grip film retainer. For an economical table-top viewer see Wolf's MG-7 style. 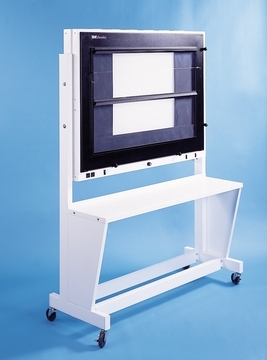 For recessed mounting, select the surface mounting model and then... Read More..
Comes complete with foot pedal controls.... Read More..
Attaches the film grip to the plexiglass to assure proper film grip every time. Entire front panel held in place by magnets for easy access -- no tools required.... Read More..
Combines superior lighting technology with ACR mandated masking shutters for optimum film viewing. 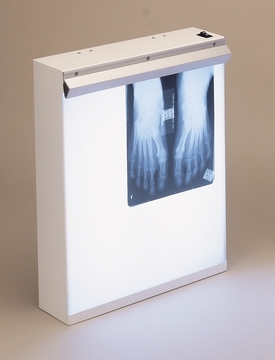 Viewing area accommodates up to 8 (24 x 30 cm) mammographs, held in place with gravity roller grips for easy film mounting. At top intensity the Mammoline p... Read More.. Mounts to wall easily. Illuminators 5? depth makes it ideal for desk-top use. Available in single unit or combinations. Each 14? x 17? 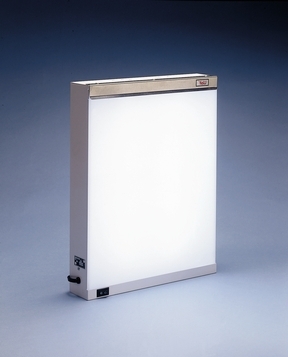 beige, baked enamel section comes with magic grip film retainer and twin 15-W fluorescent lamps. On/off switch located o... Read More.. 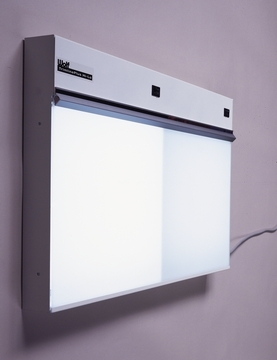 Specify stock number of the Illuminator when ordering.... Read More.. 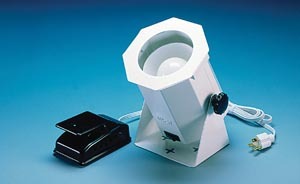 Surface mounted X-ray illuminator. Beige enamel with ?Magic Grip?. High intensity, uniform light throughout. 12? x 24? viewing area. Specially designed for the podiatrist.... Read More..
Popular Trimline series but without the bells and whistles. 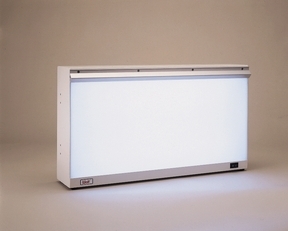 The best illuminator on the market. 2 bulb illumination. Low leakage. Instant ballast. See the Trimline Plus and Trimline for other options. For recess mounting, order Series 295 unit and proper... Read More..
A 6 bulb trimline with individual hi-low switching for two intensity illumination. Recess mounting kit (Series 217) ordered separately.... Read More..